Judgment: Affirmed, 5-4, in an opinion by Justice Breyer on March 19, 2019. Justice Breyer announced the judgment of the court and delivered an opinion, in which Justices Sotomayor and Kagan joined. 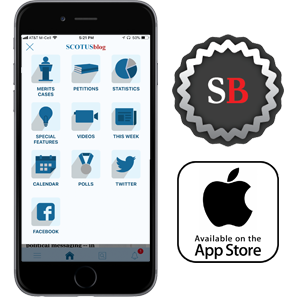 Justice Gorsuch filed an opinion concurring in the judgment, in which Justice Ginsburg joined. Chief Justice Roberts filed a dissenting opinion, in which Justices Thomas, Alito, and Kavanaugh joined. 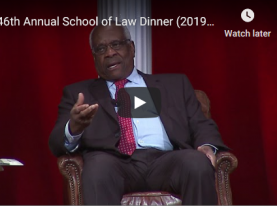 Justice Kavanaugh filed a dissenting opinion, in which Justice Thomas joined. Jul 13 2017 Order extending time to file response to petition to and including August 16, 2017. Jul 17 2017 Brief amici curiae of The States of Idaho, et al. filed. Jul 17 2017 Brief amici curiae of Washington Oil Marketers Association, et al. filed. Aug 16 2017 Brief of respondent Cougar Den, Inc. in opposition filed. Aug 16 2017 Brief amicus curiae of Confederated Tribes and Bands of the Yakama Nation filed. May 15 2018 Brief amicus curiae of United States filed. Aug 09 2018 Brief of petitioner Washington State Department of Licensing filed. Aug 09 2018 Joint appendix filed. Aug 15 2018 Brief amici curiae of The Washington Oil Marketers Association and the Washington Association of Neighborhood Stores filed. Aug 16 2018 Brief amicus curiae of United States filed. Aug 16 2018 Brief amici curiae of Multistate Tax Commission and Federation of Tax Administrators filed. Aug 16 2018 Brief amici curiae of The States of Idaho, et al. filed. Aug 16 2018 Brief amici curiae of Public Health Organizations filed. Aug 17 2018 Motion for an extension of time to file respondent's brief on the merits filed. Aug 24 2018 Motion to extend the time to file respondent's brief on the merits granted and the time is extended to and including September 17, 2018. Sep 10 2018 Record requested from the Supreme Court of Washington. Sep 21 2018 Motion of the Solicitor General for leave to participate in oral argument as amicus curiae and for divided argument filed. Oct 18 2018 Record received from the Supreme Court of Washington is electronic and located on PACER. Oct 30 2018 Argued. For petitioner: Noah Purcell, Washington State Solicitor General, Olympia, Wash.; and Ann O'Connell, Assistant to the Solicitor General, Department of Justice, Washington, D. C. (for United States, as amicus curiae.) For respondent: Adam G. Unikowsky, Washington, D. C.
Mar 19 2019 Adjudged to be AFFIRMED. Breyer, J., announced the judgment of the Court and delivered an opinion, in which Sotomayor and Kagan, JJ., joined. Gorsuch, J., filed an opinion concurring in the judgment, in which Ginsburg, J., joined. Roberts, C. J., filed a dissenting opinion, in which Thomas, Alito, and Kavanaugh, JJ., joined. Kavanaugh, J., filed a dissenting opinion, in which Thomas, J., joined. Apr 22 2019 MANDATE ISSUED.